RichKidSmartKid.com - Give your children a financial education head start! Profit is the place to start and Jesse's the one to show you. We've created tips, tricks and lesson plans just for teachers like you. Debt is about decisions. Great lesson plans, curriculum helpers, classroom activities and more! Jesse is in the ice cream business, but he's working very hard. Your students can help Jesse invest in assets and get him onto the Fast Track. Do you value your child's education? Do you want your children to have a financial head start in life? Are you willing to take an active role to make that happen? At school, your children learn many valuable concepts, yet they are rarely taught anything about finances. Imagine if you had been taught about money and, more specifically, about what the rich know about money - that the way to wealth is through cash flowing assets. How would your life be different today if you'd learned these concepts at an early age? You can give your children the financial head start you missed out on. 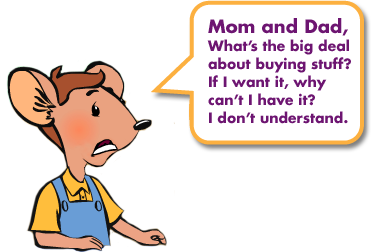 The Rich Kid Smart Kid website provides games and resources that provide young people with an introduction to the financial concepts that place them on the right financial footing for a secure future. Most financial education in schools – when there is any – just teaches kids how to be consumers. You can take your students' financial education to the next level by teaching them what the rich know about money – that that the way to wealth is through cash flowing assets. We've provided lesson resources below to help you do just that.